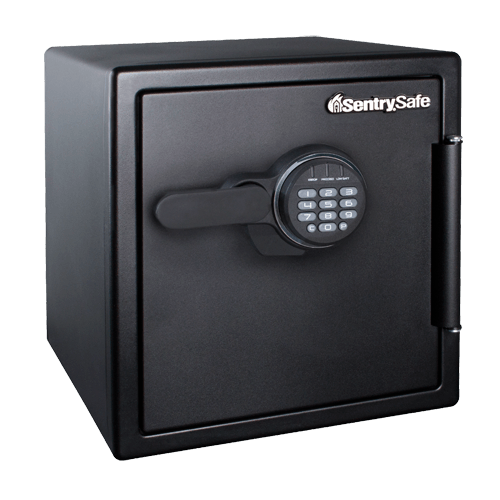 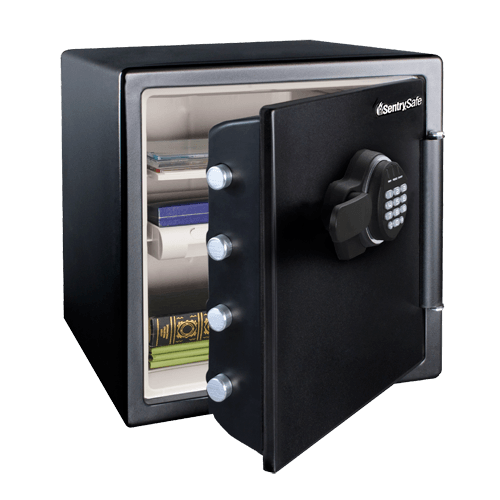 The SentrySafe Digital Water and Fireproof Safe SFW123EU is designed to protect your important documents, digital media and other valuables from fire, water, and theft. 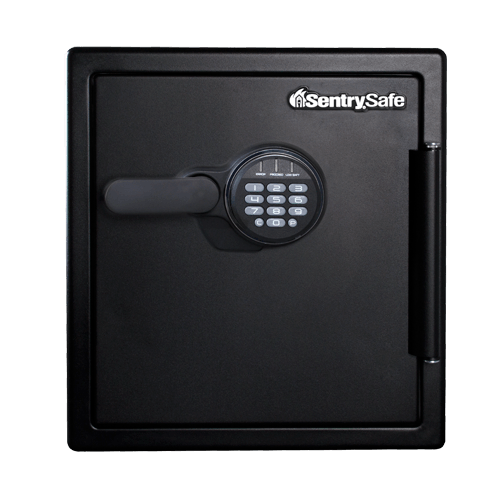 Solid steel construction and a pry-resistant hinge bar provide additional protection against unwanted access. 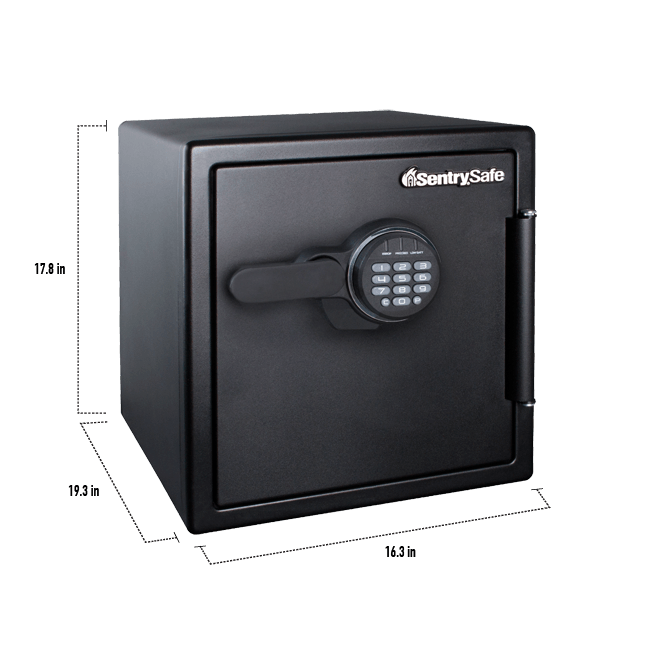 Complete with an interior key rack, door tray and door pocket to keep your items organized, this safe is ideal for your home and office security needs.